This is really, really strange.David Paterson has made the claim that it was HE who contacted the The New York Times about how he contacted a woman who had accused an aide of violence. But get this, he wasn’t, at least according to the NYT. In a radio town hall appearance this morning in New York City, Gov. 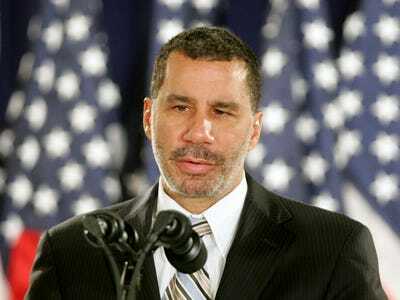 David A. Paterson claimed that he was the one who first told the news media that he had talked to a woman involved in a domestic violence complaint against one of his top aides. “The individual who first made it clear that there had been a conversation was myself,” the governor told John Gambling, a host on WOR (710 AM). We’re not sure what he’s trying to pull here — we suppose he thinks claiming he outed himself makes him look good — but when the statement is so easily refuted, it just emphasises that he’s got an honesty problem.